In this morning’s North American Nintendo Direct, Reggie Fils-Aime teased viewers with a sizzle reel featuring a bountiful amount of upcoming indie games due on the Nintendo 3DS and Wii U eShop. Those who couldn’t watch the Nintendo Direct stream this morning can watch it now at their own leisure on Nintendo’s YouTube channel. Nintendo 3DS games featured in the reel include Shantae and the Pirate’s Curse, Grinsia, Jett Rocket II: The Wrath of Takai (available now), Retro City Rampage, Putty Squad, Treasurenauts, and Siesta Fiesta. For the Wii U, the reel included Q.U.B.E. 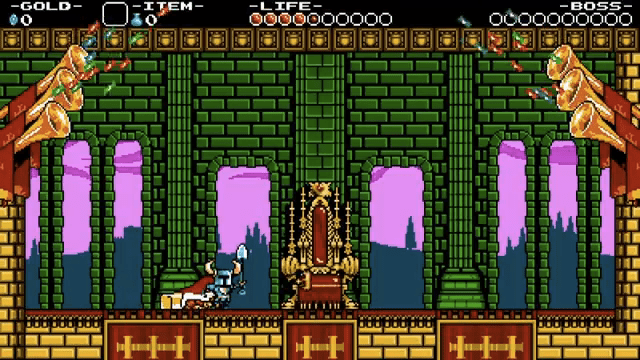 Director’s Cut, Scram Kitty and his Buddy on Rails, Armillo, Tengami, 1,001 Spikes, Pier Solar HD, Teslagrad, Wooden Sen’Sey, Knytt Underground, Unepic, and Shovel Knight. Each game is targeted for release either later this year or early next year. Nintendo also announced a December software update featuring a Nintendo Network ID system that will unify eShop credit balances on the 3DS and Wii U systems. So if you’re browsing the eShop for indie games to add to your digital libraries for either system, you will be able to do so without the hassle of managing multiple accounts. Does this list look good to you? What indie games are you looking forward to playing on the Wii U and 3DS? Leave your thoughts below.